This is an article for people who want, or need, to understand more about caffeine, their problems reacting to coffee, and what to do about it. There is no reason why caffeine sensitivity should prevent you from enjoying a delicious cup of coffee. You can drastically reduce your caffeine intake simply by understanding more about the varieties of beans and the various methods of production, brewing, and decaffeination. 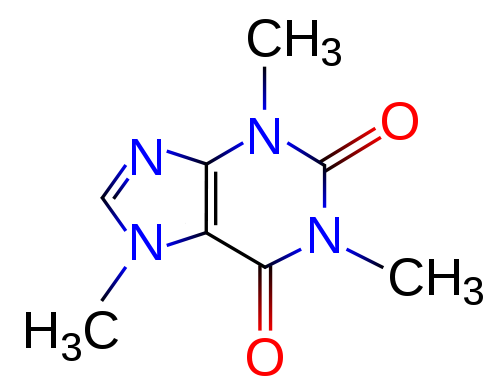 Caffeine is a benign chemical that is well-tolerated by most people. It provides its “lift” by preventing the normal action of a substance called adenosine. In most people, this is a temporary effect that has little impact on the body. While the very small percentage of people who have severe reactions to caffeine should avoid it altogether, there are many more who simply have some problem sleeping if they drink coffee too late in the day or have other mild symptoms. For these people, there is a lot that can be done to enjoy coffee without having these problems. As a food, most studies agree that coffee is rich in anti-oxidants and other healthy substances. The possible negative factors are generally associated with over-roasted coffee or other improper processing– they are not actually inherent in coffee itself, which is considered to be a healthy drink in moderation. 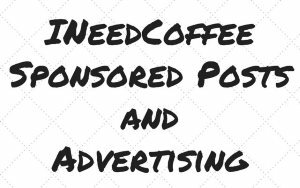 Many economists have noted that coffee as a mild stumulant has done billions of dollars of good in enhancing the national gross productivity, and that coffee has probably saved many lives by keeping people alert when they might otherwise be drowsy. That being said, people who drink too much coffee are getting too much of a good thing, and beyond 16-20 ounces a day or so of coffee, people can develop a dependency on the caffeine, and may suffer withdrawal symptoms like headache or lack of energy if they skip their daily coffee. 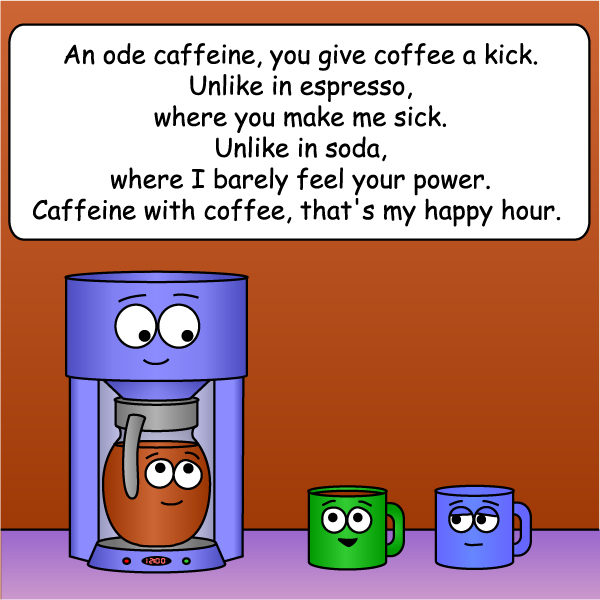 Caffeine also has diuretic effects and can be bad for anybody who is already critically low in electrolytes or has a condition that would make any diuretic a harmful thing. There are many foods with similar diuretic effect, like vinegar, cucumbers, watermelon, artichokes, etc. When people have a problem with coffee, what symptoms do they associate with it? Unlike soft drinks or foods with set caffeine levels, there is no set concentration of caffeine in coffee. Different varieties of coffee beans contain different levels of caffeine. Arabica beans range from 1.2% to 1.8%, Robusta beans can reach as high as 2.4%. Also, many processing factors can increase or decrease the amount of caffeine in coffee. See the table below to see a comparison of the amounts of caffeine in various type of coffee and other products. These are averages and do not reflect specific teas or chocolates, nor are they adjusted for brewing times, etc. They are presented here just as a rough comparative guide.) Sources: USFDA and Nat. Soft Drink Assoc. Note that 99.2% Euro standard decaf actually has more caffeine than 97% FDA standard decaf. It’s not a typo; it’s simply due to different methods of measurement. See “Is decaf really decaf?” for more information. Is caffeine always the culprit? Surprisingly, the answer is often no. Many people think that they have reactions to caffeine when they actually are sensitive to other coffee characteristics, such as dark roasts. In the thousands of contacts we have had with the public at our product demos and taste testings, people who tell us they have trouble with coffee’s caffeine will admit that they have no trouble with caffeinated sodas, black tea, cocoa, chocolate, and other foods with relatively high caffeine levels. And many people have told us that switching to decaf has not solved their problems. To find out if your problem with coffee is really with the caffeine, simply note whether the other foods on the above chart give you the problems you associate with coffee. If not, the caffeine isn’t the problem. If the problem is not caffeine, what is it? Coffee in itself is a mild and palatable food and few people have sensitivities to the food aspect of coffee. However, once you roast a coffee bean, you necessarily begin to create some substances that a few people will find indigestible. Dark roasting coffee breaks down the sugars and oils, and it burns them to varying degrees, creating ash material within the beans. These people react very strongly to these burnt sugars and oils, typically experiencing stomach acid, cramps, heart palpitations and other autonomic symptoms. Despite the similarity of these symptoms to caffeine sensitivity, they are actually having a food intolerance issue. Because coffee is a dried food there is always the possibility of mold or other contaminant in coffee causing an allergy. However, the vast majority of producers are meticulously careful to keep their coffee clean and free of contaminants and maintain the correct humidity levels. So this is seldom a problem with good coffee. Rumors abound. We have had many people tell us, with a conspiratorial air, that “decaf isn’t really decaf, you know, it has quite a bit of caffeine in it!” Which is why, they explain, they can’t drink decaf either. It is true that decaf still has some caffeine remaining, but generally not very much. There are FDA and European Union legal requirements for labeling a coffee “decaffeinated.” To meet the FDA standard, 97% of the original caffeine must be removed. A typical cup of coffee might contain 60-120 milligrams of caffeine. A cup with 90 milligrams of caffeine in it would contain less than 3 milligrams after decaffeination. Coffee that meets the 99.92% EU standard contains slightly more caffeine because it uses a different standard to measure the amount that has been removed. The FDA requires that 97% of the caffeine is removed from the coffee, while the Eu requires that the beans be 99.92% caffeine free by mass. Of course, the variety of the coffee bean affects the caffeine level before and after. Robusta coffees can have 30% more caffeine than Arabica. Excelsa or Catimor coffees can have as little as 10% of the caffeine of Robusta. Even within varieties, caffeine content can vary as much as 30%. This means that there is significant variation in the end product. However, no product properly labeled “decaffeinated” to 97% or 99.92% can possibly have more caffeine than cola, chocolate, or green tea. Not every manufacturer can be counted on to be completely honest about decaffeination, however. Enforcement of decaf standards is virtually nonexistent. Be sure to evaluate the specificity of the decaf claim on the coffee. If the claim seems vague (“99.9% caffeine free!” without any supporting information), be wary. What do they mean by “natural decaf”? Sadly, much misleading labeling exists here. It is actually completely legal to call a decaf method “100% natural water process decaf” and find that the coffee has been subjected to successive chemical soakings. In this method the coffee beans are first steamed for 30 minutes, then repeatedly rinsed with either methylene chloride (commonly known as a basis for paint stripper) or ethyl acetate (commonly known as dry cleaning fluid) for about 10 hours. The solvent is then drained away and the beans steamed for an additional 10 hours in an attempt to remove any residual solvent. Sometimes coffees decaffeinated using ethyl acetate are referred to as naturally processed because ethyl acetate can be derived from various fruits or vegetables. However, for the purpose of decaffeination, it is not generally possible to create such a large quantity of ethyl acetate, and thus the chemical is synthetically derived. Note that this process also denatures the coffee to some degree and removes many of the flavor elements as well. Needless to say, this and other chemical processes that are labeled as “natural” can have serious issues of tolerance for people with sensitive stomaches or allergies. The only water process that could really be labeled as “natural” is the expensive, patented Swiss water process, performed by only one plant in the world, in Canada. A batch of green, unroasted beans are soaked in hot water, absorbing the caffeine and coffee solids from the bean. Then the beans are discarded and the water is run through a carbon filter that traps the caffeine molecules. The remaining water is then used to soak another batch of coffee beans. The water absorbs more caffeine from these beans, but cannot soak up any more coffee solids or flavor, which stay in the beans. The water is then drained away. The process is repeated until the beans are 99.9% caffeine free. Other decaffeination processes include CO2 processing, used by Koffie Kan, in which the coffee beans are soaked in a liquid bath of carbon dioxide at 73 to 300 atmospheric pressures; and the triglyceride method, in which the beans are soaked in coffee oils removed from spent coffee grounds. Brewing at a lower temperature: Lowering the average brewing temperature will produce coffee that contains less caffeine. Coffee made in a French Press or a Vietnamese filter brewer are brewed at a lower average temperature over most of the brewing time. Brewing faster/switching to espresso: Reducing the brewing time will also produce a lower-caffeine cup of coffee. 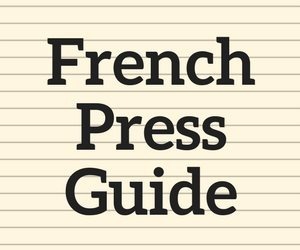 The French Press and Vietnamese filter brewers are faster than the average machine brewer. In espresso machines, the brewing is very fast. 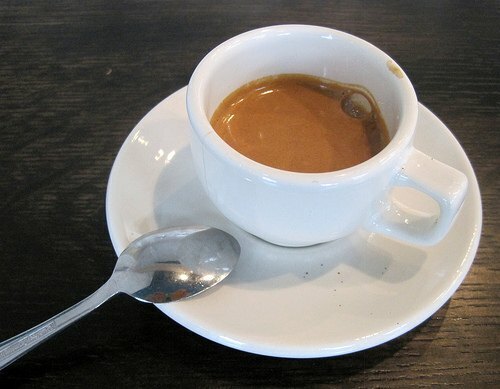 A shot of espresso has less caffeine than a 8 oz. of regular coffee but the same amount of flavor. 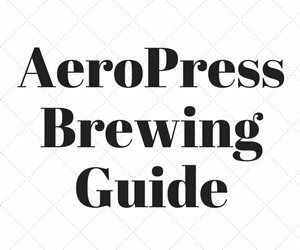 Even if you don’t like espresso shots, try making an “espressocino” or American espresso. Switching to instant coffee: Instant coffees typically have less caffeine than regular coffee because they are processed with lower heat than regular. You don’t need to settle for the the jar of instant in your local grocery store; search out Ipoh White Coffee King, Vinacafe, or G7 Instant for great flavor and a mellow brew. 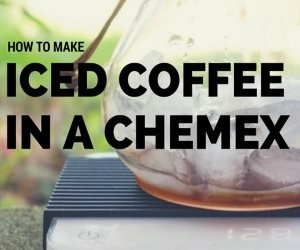 For those who are only slightly sensitive: You may only need to change your brewing methods and reduce your caffeine intake from other foods, as I outlined above. What are you waiting for? It’s easy! Go and enjoy some coffee. For the sensitive: Your options are the most limited. Not only should you reduce your caffeine intake from daily foods, but you’ll have to drink decaf as well. But don’t despair! There is decent coffee that meets FDA or EU decaffeination standards, if you know where to look. Consider the Komodo Dragon and Organic Twilight, or search out other coffees processed by the Swiss decaffeination process. Clearly, those who are sensitive to caffeine have many options to reduce their intake while still enjoying a tasty cup of coffee. In a typical day you can drop your caffeine intake by 200 mg per day or more, to under 100 mg, just by choosing your non-coffee foods wisely, and choosing coffee types that have less caffeine, such as espresso, instant, or naturally low caffeine beans. You can reduce possible reactions to acid, burnt sugars and oils by choosing coffee roasted at lower temperatures. By making good choices during the day, you may be able to experience coffee nirvana again, without any distress. Enjoy!